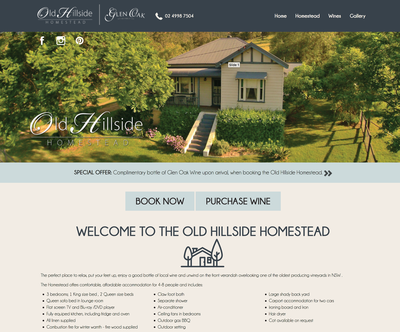 When Old Hillside Homestead asked to redesign their website they also wanted to promote their family wines, Glen Oak Wines, all on the one site. 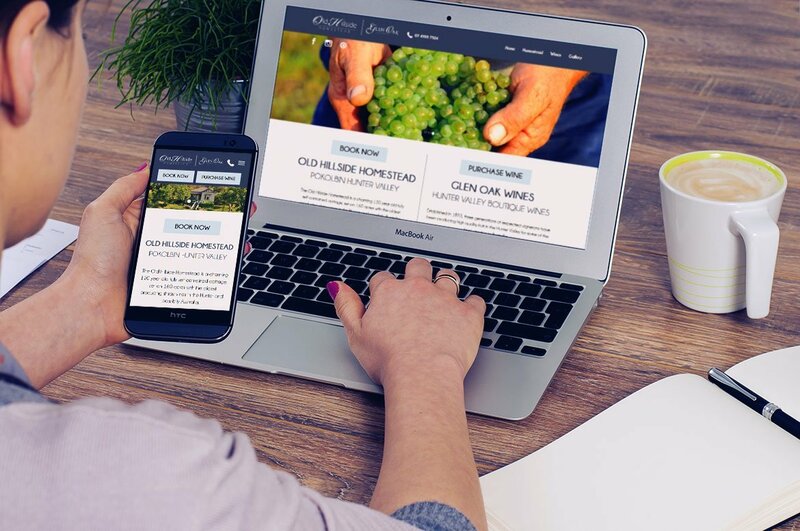 They wanted their homepage to be a gateway to each side of their business where you can equally choose between the accommodation side or the winery side. The accommodation side of the business showcases the beautiful homestead with gorgeous pictures of the accommodation and surrounds. There is a section of news, specials and upcoming events in the area and also the ability to request a booking through the website. 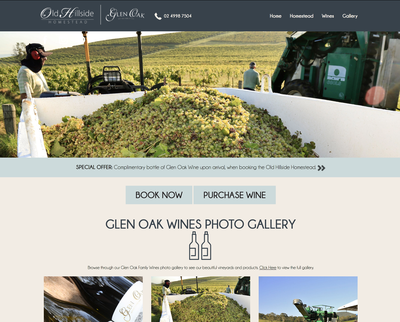 The Glen Oaks Wines side has a section about the wineries history, a showcase of the winery and to join the wine club. The purchasing of the wines area uses PayPal buttons and collects orders through the PayPal website. The Telligence team is quite proud of the results of this website. It solved the clients needs and also revamped their look and feel with a modern design that compliments their impressive photographs.